The end of 2017 saw the kick-off for the Puma Suede 50 campaign, celebrating their 50 years of existence in 2018. 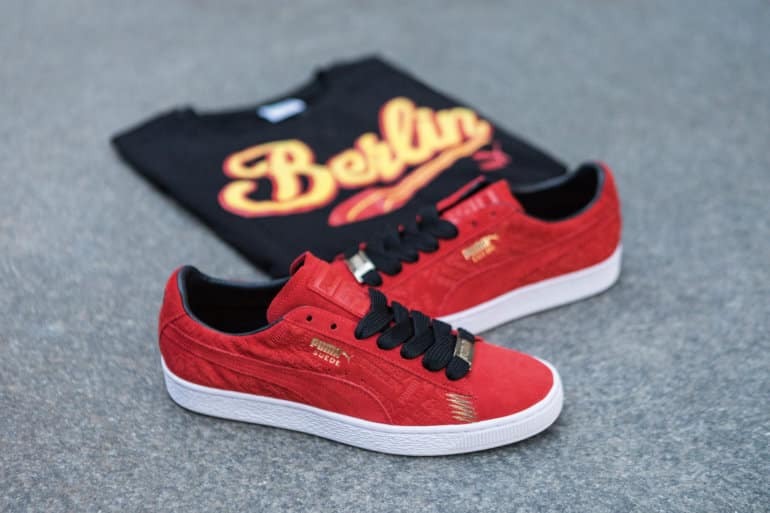 Puma continues to keep the party going by paying homage to its hip-hop heritage with the all-new Suede 50 Breakdance Cities Pack. The original silhouette broke into the street scene, forming part of the primary look of the breakdance toolkit in the ’80s. The Suede was known for its silky materials and vibrant colourways, which has seen numerous adaptations over the five decades. The sneaker with its thick rubber soles is known for its grip, allowing for better performances on the dance floors, cardboard and concrete. In honouring its roots, the Breakdance Cities Pack features silhouettes for the four most influential breakdancing cities through the years: New York, Berlin, Paris and Seoul. These cities are still known to keep the B-boy culture alive today. Each city pack will receive its own unique colourway as part of the collection. 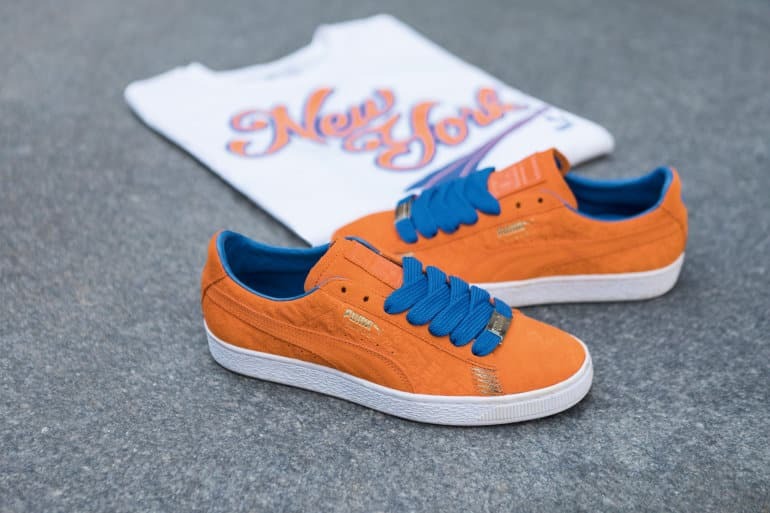 Suede Classic New York will drop in a plush orange suede upper and Formstripe with blue-lining. The fat laces come in orange, white and blue, add the gold 1968 lace locks and they’re certified fresh. Suede Classic Paris is changing up the look and keeps it clean with a blue suede upper, liner and Formstripe. The look is completed with fat laces in a white, blue and red set in place nicely in gold lace locks. The Suede Classic Berlin is bold with a red suede upper and a black liner on that big white sole. Again, the Fat laces, in black, red, yellow, are eye-catching with the gold lace locks. Suede Classic Seoul is refined and ready with a birch suede upper and liner atop that timeless sole. The fat laces, in birch, white and blue, are polished with the lace locks. 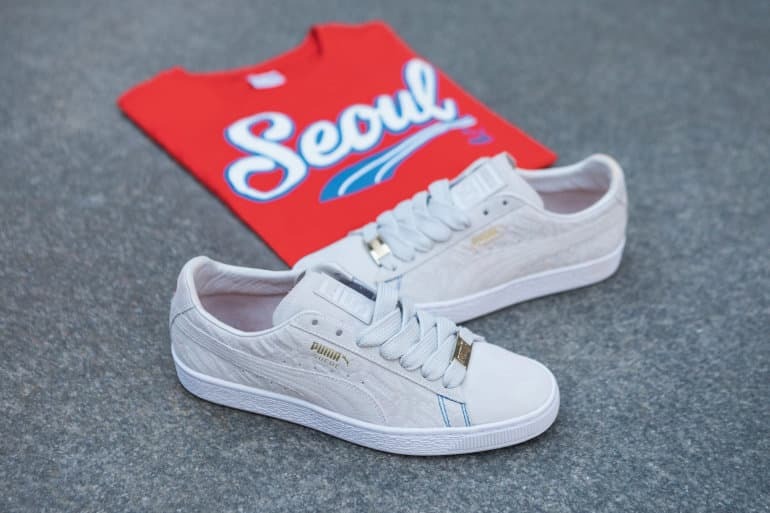 The Puma Suede Classic NYC, Suede Classic Seoul, Suede Classic Berlin and Suede Classic Paris will be available for R2,399 at your local Puma Select, The Cross Trainer, selected Sportscene stores and various retailers nationwide.